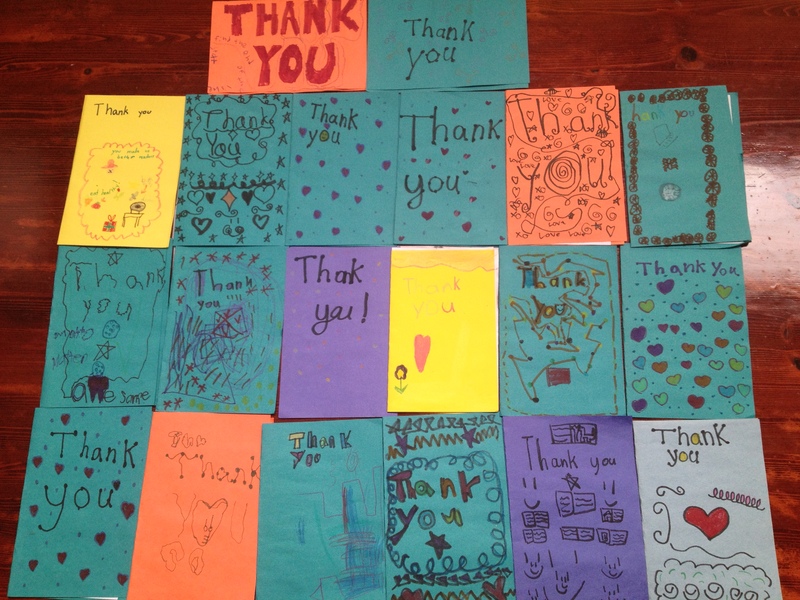 Thank you cards we received from Mrs. Blanchet’s grade 1 and 2 class for volunteering as Reading Buddies this year. Our last day of Reading Buddies for the year with Mrs. Blanchet’s grade 1 and 2 class at Bramblewood Elementary in Coquitlam was on June 20, 2013. We had a great time getting to know all the students and helping them with their reading skills! Thank you to Mrs. Blanchet’s class for being such wonderful students, and for the beautiful handmade cards they gave us on our last day. Also, a huge thank you to our Secretary, Janelle, for organizing this program for us, and to all the volunteers from our club who helped out throughout the year: Eric, Emi, Danielle, Sarah A, Chris M, Eli, Jordan, Jordyn, Christy, and Kim. 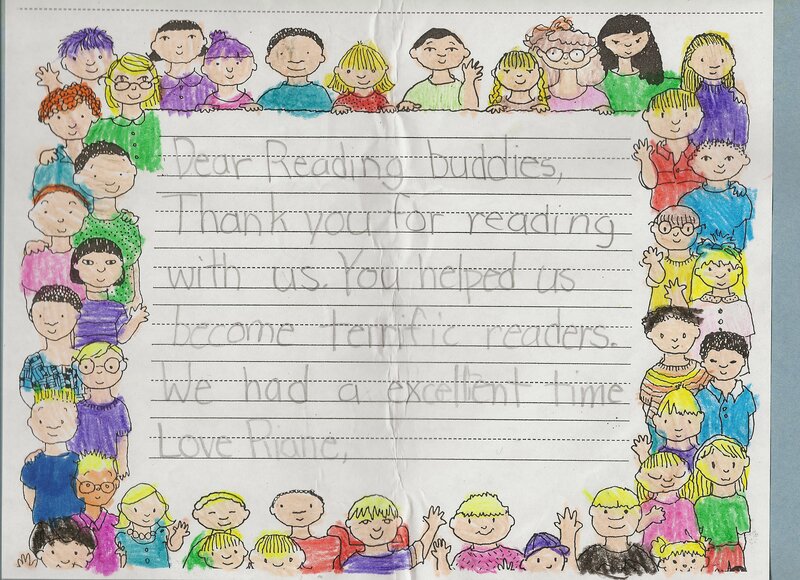 Riane’s card for our members. 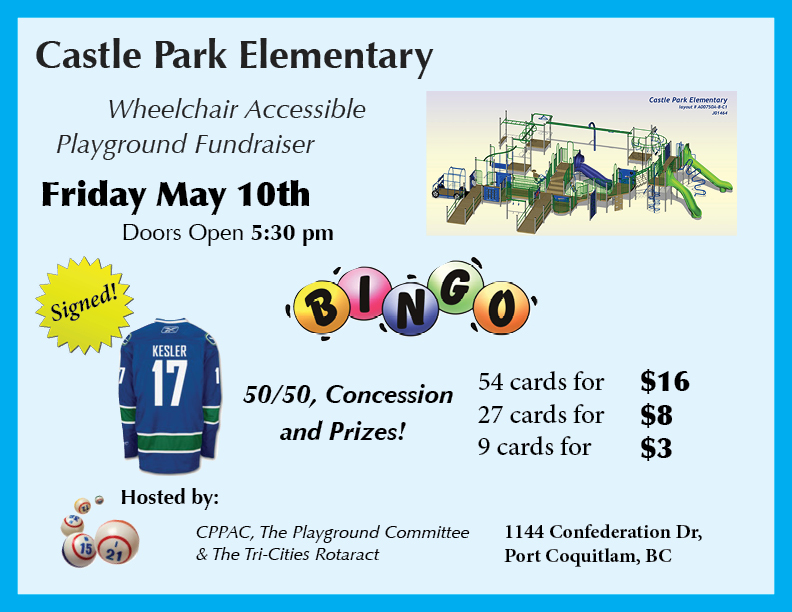 On Friday May 10th, the Tri-Cities Rotaract Club, in association with the Castle Park Parent Advisory Council and Playground Committee, hosted a bingo night fundraiser to raise money for a wheelchair accessible playground at Castle Park Elementary School in Port Coquitlam. With over 20 students with special needs and three in wheelchairs, Castle Park Elementary is in need of playground equipment that all of its students are able to enjoy together. The school was previously a semi-finalist in the 2012 Aviva Community Fund contest and was featured by major news outlets including CTV News. With many of our members having graduated from Castle Park Elementary and/or living in the surrounding neighborhoods, this was a cause near to many of our hearts that we knew we wanted to get involved with. As this was our first self-organized fundraiser, needless to say our club was quite nervous about how the night would turn out. Thankfully, due to the hard work of our members and support from the staff and parents of Castle Park Elementary, the event was a great success! Over 450 people were in attendance – so many that we were constantly bringing in additional tables and seating during the evening – and in total, we raised $3,000 for new playground equipment at the school. In addition to games of bingo, we also offered a concession, 50/50 raffle, and over $2,500 of prizes including a signed Ryan Kesler jersey, Vancouver Whitecaps tickets, and gift baskets donated generously by local businesses and Rotary clubs. The Tri-Cities Rotaract Club would like to thank all of our sponsors, the PAC and Playground Committee of Castle Park Elementary, and Port Coquitlam mayor Greg Moore for his attendance at our event. Most importantly, a huge thank you to all the parents, neighbors, family members, friends, and students of Castle Park Elementary who came out and supported our first fundraiser! Your generous contributions will go towards a playground that is enjoyable by all students for many years to come. View additional photos from the event on our Facebook page. For more information on this project, please visit the Universally Accessible Playground for Castle Park Elementary’s official Facebook page. We have just recently started a weekly reading buddies program with a grade 1 and 2 class at Bramblewood Elementary School in Coquitlam. Helping the kids with their reading skills is extremely rewarding, and they seem to be enjoying it too!